Yurts, often referred to when discussing glamping, are beautiful, round, lattice-work tents. 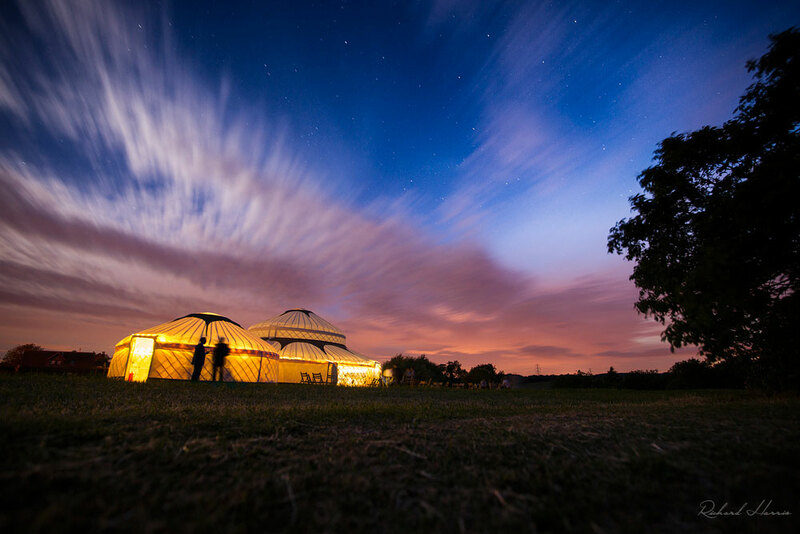 Along with our partner supplier, Yurt Maker, we can now offer large event yurts, big enough to host incredible weddings. It's a charming alternative that can be configured to accommodate your wedding party.